No Sew Ornament Balls with little or lots of sparkle and glitz! What makes these ornament balls so special? We specialize in a collective gathering of high quality fabrics and Czech and Japanese glass beads that we hand select exclusively for our store to coordinate with specific fabrics and projects - and these collections are not found anywhere else as we do not share that recipe with anyone. While they may be a bit more expensive, these beads will retain the luster and brilliance long after those lesser imitations. 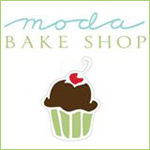 Be sure to sign up for our eNewsletter and we will email you a FREE pattern! 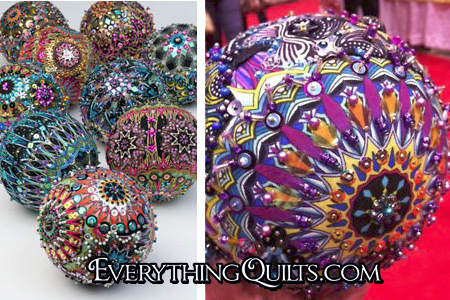 Beaded Ornaments Kit-of-the-Month Club - EQ Exclusive! EQ Folded Star Ornament & Bead Kit - Tuxedo - EQ Exclusive! 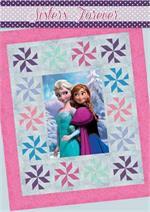 EQ Folded Star Ornament & Bead Kit - Regal - EQ Exclusive! 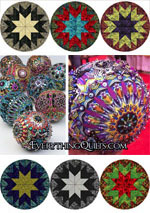 EQ Folded Star Ornament & Bead Kit - Mosaic - EQ Exclusive! 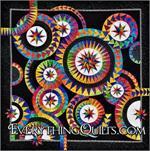 EQ Folded Star Ornament & Bead Kit - Luminous - EQ Exclusive! 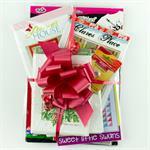 Folded Star Ornament Kit - Flamboyant - EQ Exclusive! Folded Star Ornament Kit - Champpagne - EQ Exclusive! Beaded Ornament Kit - Cool Lagoon - EQ Exclusive! 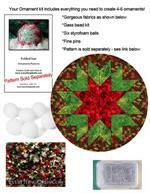 Beaded Ornament Kit - Seaglass - EQ Exclusive! 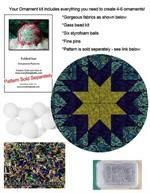 Beaded Ornament Kit - Obsession - EQ Exclusive! 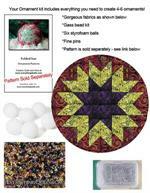 Beaded Ornament Kit - Cosmopolitan - EQ Exclusive!